There have been films with captives, captors and ransoms before but never one with only three actors throughout the entire film. Here is a suspense film that can be appreciated for its characterization twists and methodical, distraction-free approach. While there are some implausible plotlines here, the confident performances by the three actors and distinctive style from writer/director J Blakeson, make up for those moments. I may not have seen anything too original here from the kidnapping genre, but it was quite a unique and commendable experience which stayed with me for some time. Blakeson knows that a film’s opening is key in not only attracting a viewer’s attention but also maintaining it and he delivers one of the most intriguing openings I’ve recently seen. The film begins with a two men carefully prepping an indistinct apartment for a distinct purpose. They drill the bed frame to the floor, fasten harnesses to the bedposts and install cameras and extra locks and even sound-proof the bedroom. 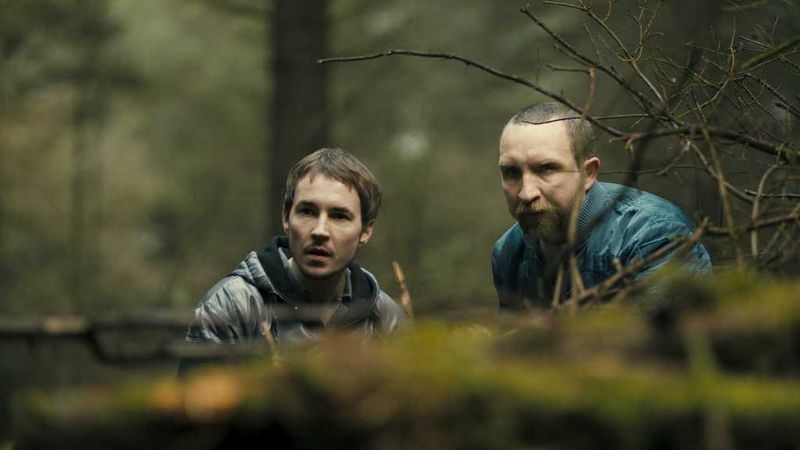 What is established is that Danny (Martin Compston) and Vic (Eddie Marsan) mean business and they have presumably planned out every step it will take to welcome what we obviously have surmised to be the title character. Cold glances are made as they acknowledge each other’s systematic work, but not a single utterance is heard. All that can be heard are uncomfortable sound effects and a squirmy score by Marc Canham, until one line is spoken, “Okay”, and they are ready. 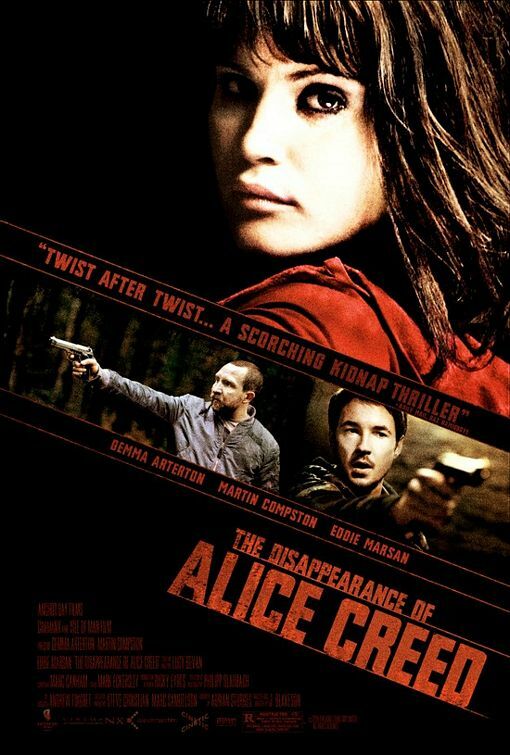 After much struggling and screaming on the part of their hostage, Alice Creed (Gemma Arterton), the two men, in their zipped-up work suits and masks, bring her to the place they have prepared. Alice is obviously scared out of her mind as her feet and hands are tied to the bed and pictures are taken of her. At first, we are as much in the dark as she is as to the motives of her captors. Then, we slowly begin to learn a few things, like how Danny has chosen Alice because she comes from money and how he has promised the more-experienced Vic that they can ransom two million from her father. But is it just for the money? Is there something else going on here? The less you know going in, the better. What doesn’t matter is who her father is, or if word of her kidnapping is in the news yet, and if the police are involved. What Blakeson gives us, the tense interaction between the two men as well as what we see take place between them and this young woman, is enough. These slick scenes make us forget about anything taking place outside the fortified walls that were built for suspense. It’s just these three characters in a claustrophobic battle of wills in which many layers are peeled to reveal more than we (or they) could have imagined. It’s a taut and no-nonsense approach, almost Hitchcockian with its close-up shots and a touch of Tarantino’s dark humor thrown into the mix. Granted, some of the multiple twists start to feel like they are serving the shock instead of the story but by then it doesn’t really matter, since our interest in these characters hasn’t waned. Regardless of any plot gimmicks or untold details, these trios of actors carry this film along in a satisfying manner. If you’re unfamiliar with this cast, this would be a good film to get acquainted. 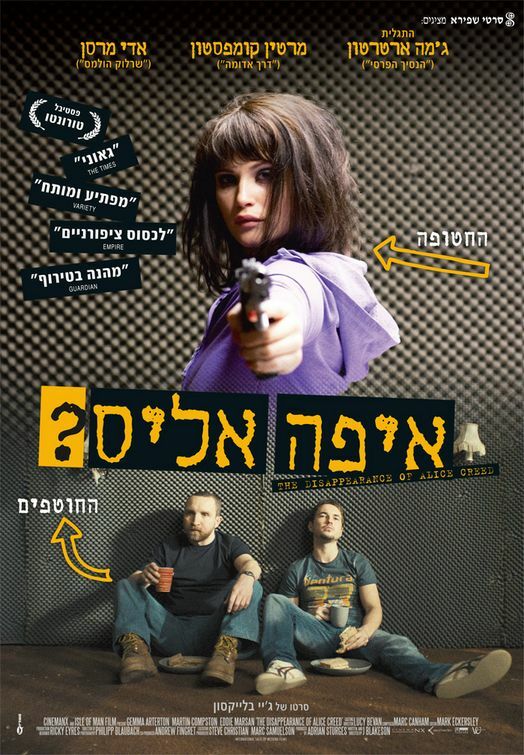 If you are, aware of them, at least Arterton and Marsan, then you’re in for a treat. Arterton has been a Bond babe (“Quantum of Solace”) and a sword-and-sandals siren (“Clash of the Titans”), both of which had little time for character. Much is demanded of Arterton in this role as we see her exhaust herself emotionally, mentally and physically. She gives a convincing performance that balances both defiance, fear and vulnerability. Marsan is the usual powder keg that you see in his other roles, and that’s a compliment. He too shows a nice vulnerability tempered with a paranoia and desperation that is required for his character. Compston has to work between these two characters, holding back crucial truths from both of them in a sweaty, nerve-racking performance. The greatest thing about these characters is that you’re never quite sure who to trust and even when they are telling the truth, we’re left wondering how much more of the truth is left out. Blakeson continues to twist and turn his script a bit too far and by the film’s conclusion he’s lost much of the drama that he started with. Still, I would follow him and these three actors in any of their future endeavors. I remain impressed with his style and approach and the fact that a film with only three actors is even out there. While the film does contain some uncomfortable scenes, it is pretty surprising the way everything unfolds, leaving you in the end with an exhausting mental and emotional exhale.